In this edition of Fact Primers, we’ll look at famous incidents involving shoes. This entry was inspired, in part, by something that happened in an NBA game last week. Tennis, dress, blue suede – we all have several different types of shoes, and often think nothing of them. Well, except when women wear heels – then they won’t shut up about how uncomfortable they are!. So what are some of the more bizarre incidents in shoe history? Let’s look at a few. This likely apocryphal story comes to us from Ben Ingram, who enjoys the idea of a faceless tussle between two future Nobel Laureates (O’Neill for Literature, 1936; Wilson for Peace, 1919). 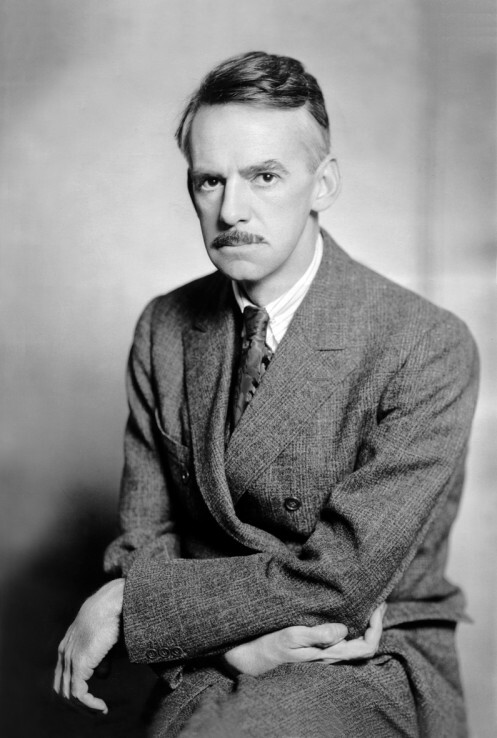 O’Neill, who would go on to write such classic plays as Strange Interlude, Mourning Becomes Electra, The Iceman Cometh, and Long Day’s Journey Into Night, enrolled at Princeton University in the fall of 1906. He’d stay only one year; he was kicked out, but accounts differ as to why. Poor grades? Disorderly conduct? Or, perhaps, that window he allegedly broke with a beer bottle – or a shoe? That window belonged to Wilson, then the university’s president, a post he held from 1902 to 1910, when he was elected Governor of New Jersey. The only commander-in-chief to hold a Ph.D., Wilson had been the chair of Jurisprudence and Political Economy. His 1896 address commemorating the university’s sesquicentennial, “Princeton in the Nation’s Service,” inspired the school’s motto. I can’t find any evidence to support the shoe theory – all of the sources I see say beer bottle – but since the story itself is probably a fabrication, why not go with Ben’s take? Plus, it’s not like the standards of journalism are that high these days. “Where was Khrushchev sitting when he pounded his shoe?” According to one biographer of man who led the Soviet Union from 1953-1964, that’s the most common question asked of tour guides at the United Nations. It was October 12, 1960, and the General Assembly was debating a Soviet resolution against colonialism. A delegate from the Philippines argued that the resolution was hypocritical, alleging the U.S.S.R. had done the same thing with Eastern Europe. Continuing the Filipino theme: this first lady had a collection of over 3,000 pairs of shoes. That extravagance was a symptom of the authoritarian rule of her husband, President Ferdinand Marcos. After the assassination of opposition politician Benigno Aquino Jr. in 1983*, nonviolent protests broke out across the country, eventually known as the People Power Revolution. Just over two years later, in 1986, Ferdinand lost his 20-year grip on power to Corazon Aquino, Benigno’s widow. The deposed leader and his wife fled; Corazon, the first elected female head of state in Asia, placed the shoes on display as a political tool. After she left office in 1992, the shoes were moved to storage, where they were ravaged by termites and flooding. You can now see what’s left at the Marikina Shoe Museum. Ferdinand died in exile in 1989; Imelda returned to the Philippines in 1991. She’s now a member of the House of Representatives. The current president, Benigno Aquino III, is Corazon’s son. *For those of you so inclined, here’s a video of Benigno’s last moments. You don’t see the actual killing, but you do see his body. It’s a powerful – but, needless to say, disturbing – clip. On December 22, 2001 – just three months after the 9/11 attacks, and exactly 13 years after the Lockerbie bombing – an Islamic fundamentalist named Richard Reid attempted to blow up an airplane with plastic explosives hidden in his shoes. American Airlines Flight 63 was a non-stop from Paris-Charles de Gaulle to Miami. Somewhere over the Atlantic, the 6’4″ Reid tried to light the fuse, but sweat from his feet had dampened the gunpowder. He was restrained by fellow passengers and administered valium from the flight’s emergency kit. Officials said the 10 ounces of plastic explosives were enough to blow a hole in the plane’s fuselage, which is why we all now get to take off our shoes at the TSA checkpoint. Thanks, Richard! Reid, a British citizen, was sentenced to life without parole, during which time he’ll enjoy the fine accommodations of a Supermax facility in Colorado. In Arab culture, showing someone the sole of your shoe is considered a great insult. The sole covers the lowest part of the body; it is what meets the dirt and the grime of everyday life. An even greater insult is to remove one’s shoe to use as a weapon. After the statue of Saddam Hussein was toppled in Baghdad’s Firdos Square in 2003, Iraqis rushed toward it to beat it with their shoes. As George W. Bush made his final rounds in Iraq in December 2008, Iraqi journalist Muntadhar al-Zaidi seized on his last opportunity to voice his protest against American oppression. During a Bush press conference with Iraqi Prime Minister Nuri al-Maliki, al-Zaidi stood up and shouted in Arabic as he tossed his shoes, one after the other. al-Zaidi served nine months in prison for assaulting a foreign head of state. He found many supporters in the Arab world, including an orphanage in Tikrit, which built a monument in the shoe’s honor; countless copycat incidents followed against other public figures. One Saudi businessman said he would pay $10 million for the shoes, but security forces, rightly anticipating this, had destroyed them. Louboutin shoes are handy fodder for lyricists: in the last few years, Kanye West, Iggy Azalea, and Jay-Z have all mentioned them in songs as a symbol of luxury. One Jennifer Lopez number used them as a metaphor for confidence. You can recognize Louboutin’s footwear by their red soles, a branding that’s resulted in a number of lawsuits. Louboutin sued Yves Saint-Laurent for a monochrome red shoe, but a New York court ruled the sole trademark applies only if the rest of the shoe is a different hue. A suit against Zara also went poorly for Louboutin, as the court was unable to determine exactly which shade of red Louboutin wanted to protect.